Within our safe environment, the children will have the opportunity to solve problems, make devisions, experiment, explore, predict and plan in a variety of contexts. Children will learn about their own community and traditions and those of others. Natural and man-made materials such as clay, play dough, sand, water, collage, bricks, baking, growing seeds, bulbs are used. 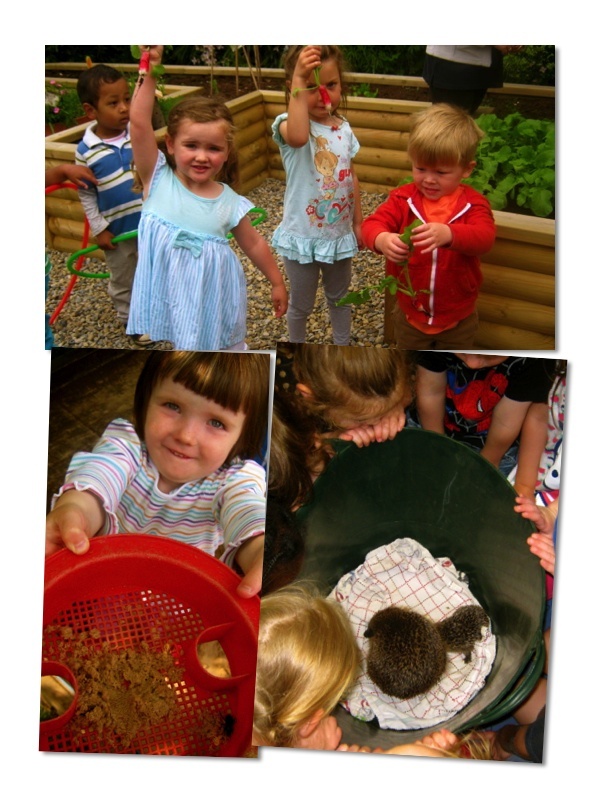 They are assisted in exploring their own environment and in exploring others around our country and world. We make use of outside resources appropriate to our topics. For example ,the dentist may visit if we are discussing healthy eating. A different festival may be focussed on each term. They will have the opportunity to use different types of technology such as computers and remote control toys.